Sick of losing a WiFi signal in the middle of your favourite movie? Or simply don’t have enough speed on a wireless network to stream the show you were looking forward to all week? This can be easily fixed! All you need to do is call Sydney Antennas technician and he will run a Network/Data point directly to your device. We use quality CAT6 cables and fittings and mainly install data points in wall cavities, so you get a neat finish. While a wireless network is very convenient, it can never match the hardwired connection speed and stability. Most new homes nowadays come with Fibre optic/NBN internet service hooked up to a modem in a garage. In that case, wireless network does not cover the whole house area. It is very common to have a number of “blind spots” especially if the house has more than one level. By installing a hardwired Network point to your computer or TV you will be getting the best quality internet connection at the highest speed available from your provider. 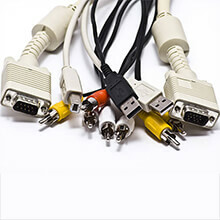 If you need a telephone line for your modem or fax re-located our technicians can do this as well. Whether it is a new Telephone point or an existing one needing a cable replacement our installers will get it sorted!